Peanut Butter and Chocolate...could there be a more perfect combination? I think not! 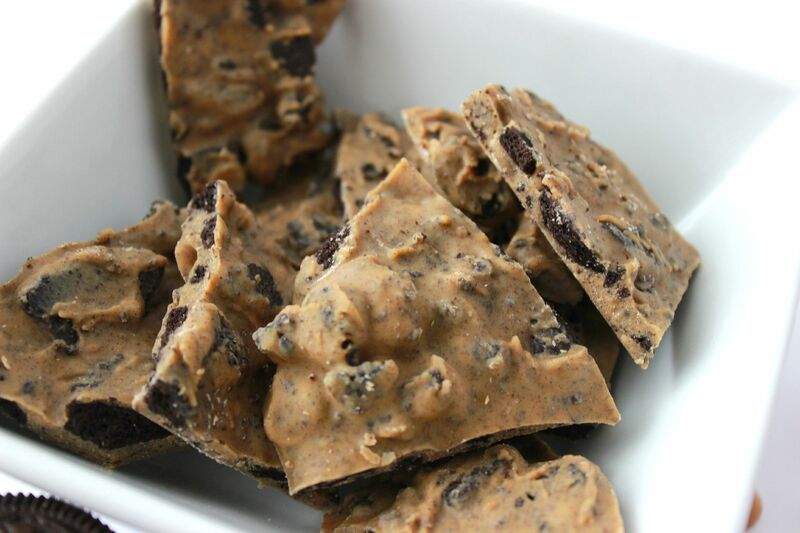 I have my fabulous brother in law to thank for introducing me to this incredibly delicious and easy recipe full of peanut butter chocolate goodness. Do you have a Halloween party coming up this weekend and you aren't sure what to make? Or are you short on time, but really want to wow your friends with a yummy treat? Well make this! 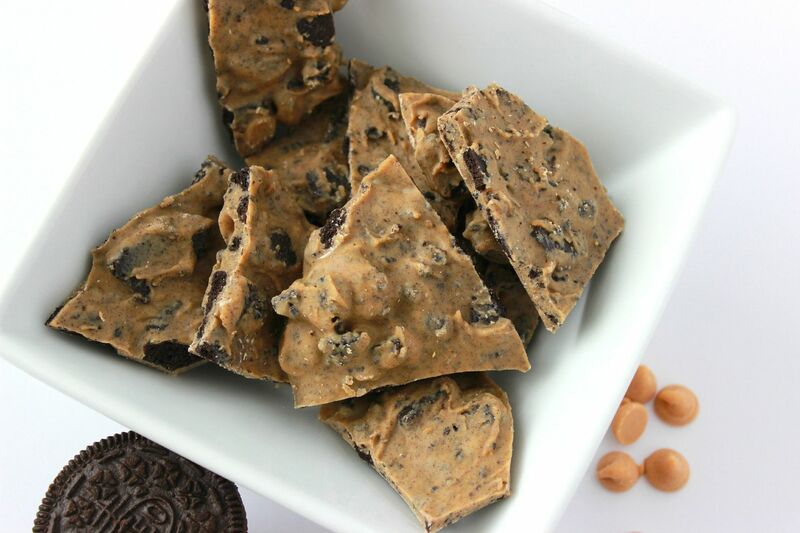 Peanut Butter Oreo Bark is going to come to your rescue. Just don't expect there to be anything left over, because this stuff will go fast once word gets out how delicious it is! You might even want to make two batches. 1.) 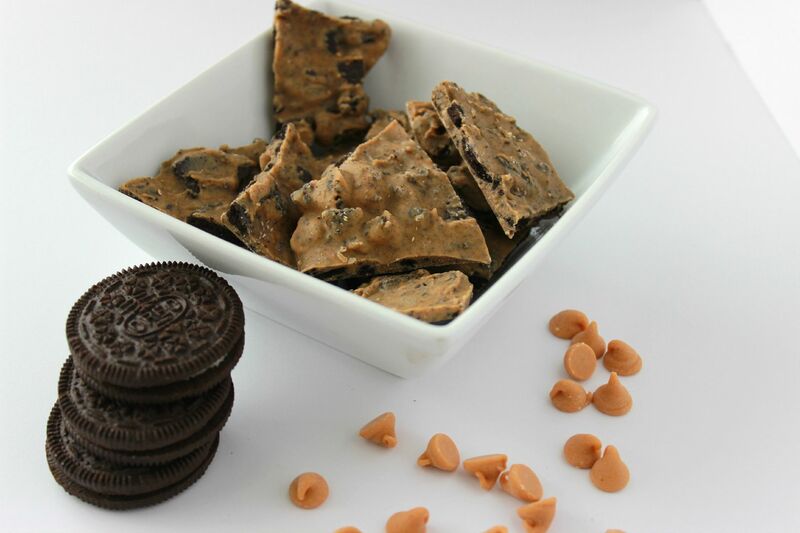 Break up the Oreo cookies into small pieces. You can either use a food processor (just don't chop them too fine), a spoon to smash them or simply break them up with your hands. I prefer to use a spoon because I want them broken up, but not too tiny or too large. 2.) In a separate bowl, microwave the peanut butter chips for 90 seconds. Stir until creamy. 3.) 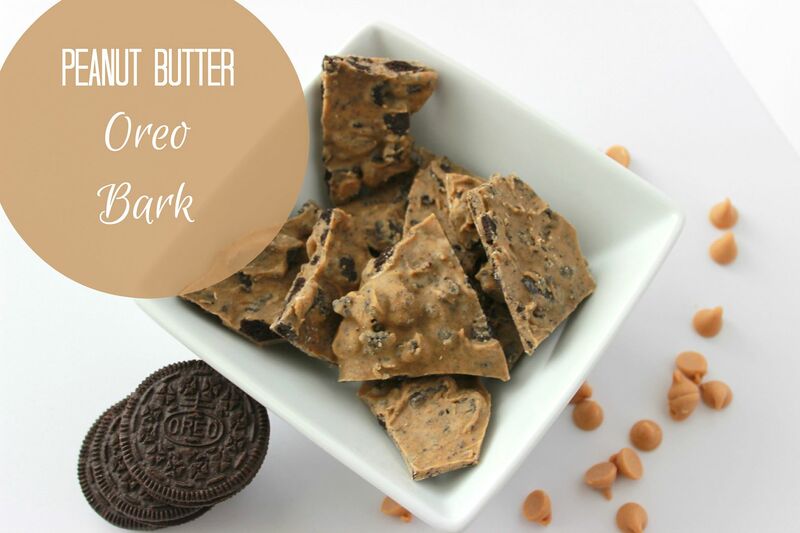 Pour Oreo crumbles into creamed peanut butter. 4.) Spread mixture onto a cookie sheet lined with wax paper. The mixture will seem a bit sticky, but shouldn't be too hard to spread. 5.) Place in refrigerator for at least 30 minutes so it can harden. 6.) Break up into bite size pieces and enjoy! so going to have to try this recipe out. This is frickin heaven! cant wait to try this out. thanks for the inspo!